Despite the freak snowstorm, folks still came out and learned about the Fashion Makerspace in Lowell! We learned about Diana and all the equipment she had in her space! We discussed topics such as merging fashion and tech at design schools such as Mass Art and future WoW events in making wearable electronics together at the Fashion Makerspace (something we'll actually be doing in our January event at Microsoft!). Women of Wearables (WoW) Boston Chapter December event was held in in partnership with CIC (Cambridge Innovation Center). CIC has been a home for entrepreneurs all around the world, and we're having this month's event at its flagship location in Cambridge. 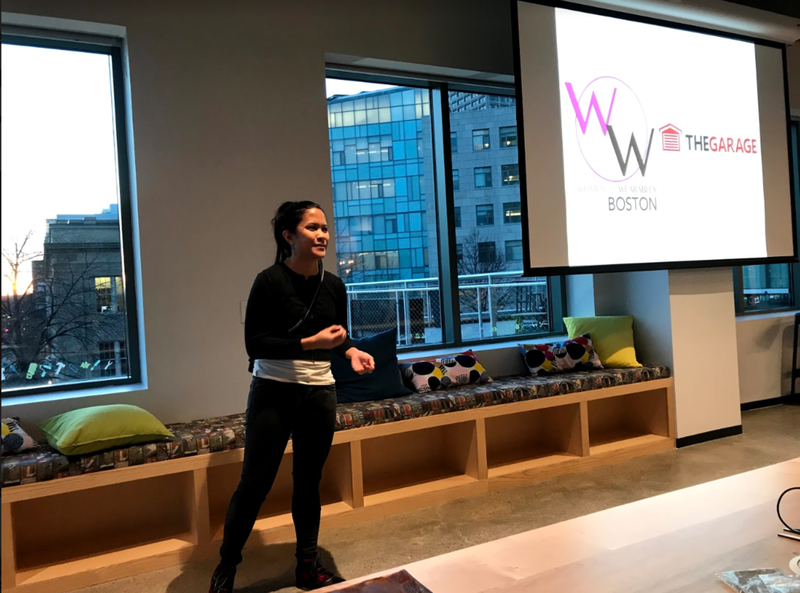 The WoW Boston Chapter aims to locally reflect the global WoW organization, highlighting women in the region working in wearable tech. This month, we’ll hear from Jocelyn Scheirer, an entrepreneur, scientist, and artist who has been working in wearable biometrics since the late 1990s. Her research focuses on emotion, which she began during her PhD studies at the nascent MIT Media Lab’s Affective Computing Group founded by Rosalind Picard. Scheirer invented and, along with MIT, patented a very early textile biosensor which measured skin conductance and eventually led to several wearable products currently on the market. She founded and co-founded several wearables companies including Empathyx, Inc. Affectiva, and Bionolux Labs. She has held research and faculty posts at Harvard and Brandeis Universities. 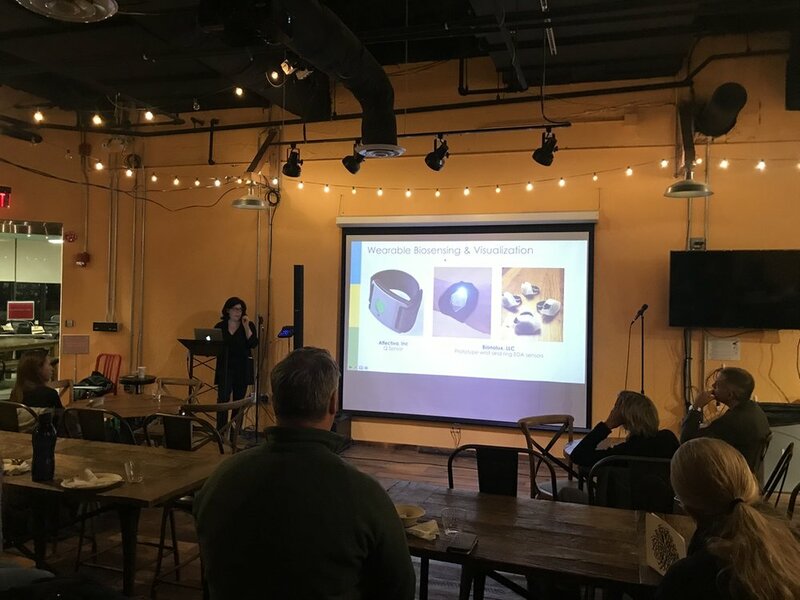 In recent years, she has also consulted for industry, government and academia on numerous projects involving sensors, physiology, and VR/AR. Her clients include NASA, Brandeis University, NYU, and industry. She has served on the board of the MIT Enterprise Forum of New York and is a frequent speaker on topics relevant to technology entrepreneurship, sensors, and scholarship. Read more about Jocelyn here! 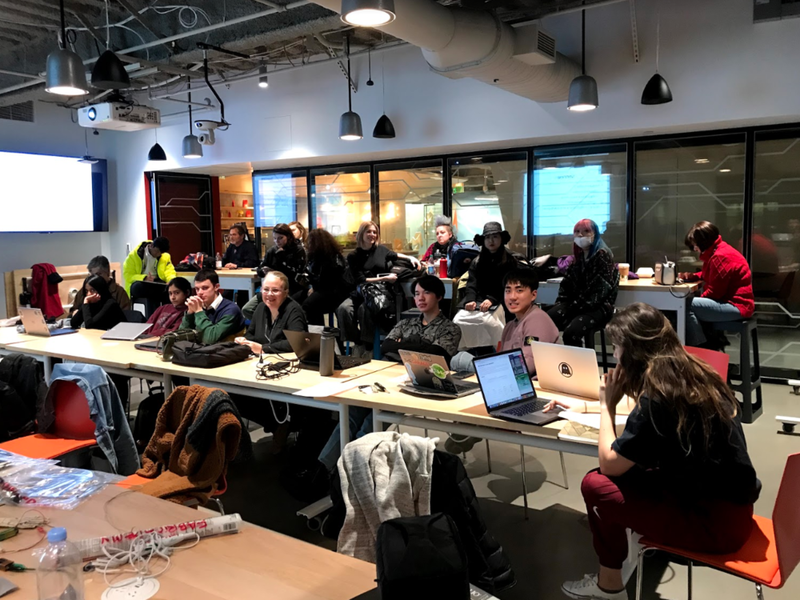 Come to the Women of Wearables (WoW) Boston Chapter January event, in partnership with The Garage at the Microsoft New England Research and Development in Cambridge, MA. The Garage is a resource to Microsoft employees that supports and encourages problem solving in new and innovative ways. They are opening the doors to their makerspace! We will have access to their makerspace, so bring any wearable projects you are working on and come tinker with us. Don't have a project, or have one in mind? Come anyway, and see where you can get help. Additionally, students from the Fabricademy Boston node will be around and will have some e-textile projects to show and teach!